What a great show indeed very cool to look back at those videos I myself was a ten year old boy when those were made however did not get to see them until the fruition of the internet. I think Peter did a great job for the first two albums, however I do not believe he could have taken Yes to the Progressive era at all. Interesting choice’s for the upcoming tour I definitely would agree with Mark about To be over would be a great choice, I would love to hear something from …..Union I know I know I can hear the boo birds already but I heard Shock to the system today on Deep Tracks and I really enjoyed that song seen the tour and I think it would be a great Yes tune to revisit. I can dream can’t I ??? Oh well Fantastic gentle man as all ways. Thanks Paul. I wouldn’t mind hearing something from Union either. I enjoy each song on there on its own. 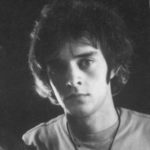 I agree about Peter – a great guitarist but in the end not right for what Yes needed to do next. Good show guys. Well observed regarding Peter in Yes and his live gesturing. I have some of this in my forthcoming book. Love the early videos though they are very special, how lucky we have them. 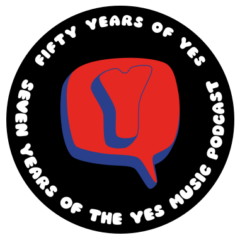 I wanted Yes to cover the first album on the tour and I’m pleased they have done. Japan will be different as I am sure the USA will be. Yes with no new music has to perform Relayer, in full or part as this will complete the album tours. Fans want it and I’m sure Yes want that challenge too. Once again another year and a Yes tour along with Jon Anderson live, we can’t knock it eh? For me the highlight of the week was the first time release of a hidden Warriors track. Lost for over 50 years, a real gem. I have been looking for it for years. There has been a surge in interest in these early day because of it, my timing could just be right for my project. Back to Yes though, I’ll be interested to hear views on the cruise set list and performance. Thanks Dave. I rather liked the balance of the setlist and loved No Opportunities being in there. Good news about the Warriors track and fingers crossed for Relayer!